​Certified with stringent qualification standards and committed to quality service. Living in the Pacific Northwest means idyllic mountain views, cool weather, and a unique community you just can’t find anywhere else. However, it also means having an efficient Home heating and cooling systems is a top priority. Whether you need to keep that cold, driving rain at bay, the bitter winter nip from the ocean, or keeping your home cool in the humid months, you need heating and cooling experts you can depend on. ​Unfortunately, it can be hard to find reliable home heating and cooling you can trust in the greater bend area. Whether the companies you call are cheap, inexperienced air conditioning repair service or premium companies that cost a fortune, it’s hard to find someone who can meet all of your needs without going over on your budget. "Call Doctor Al. The Climate Doctor." Luckily for you, the best name in local home heating and cooling companies is just a phone call away. At Cascade Heating & Specialties, Inc, you’ll have access to a wider variety of Home Heating Services HVAC service to keep you at the level of comfort that you need. With the best local heating and cooling experts and bigger service area than anyone else, we are the right choice for you. ​Give us a call at 541-382-8483. 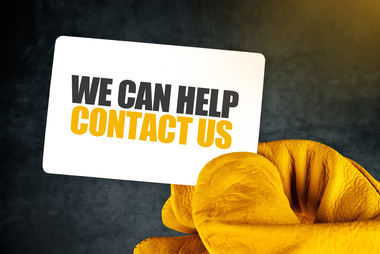 ​Whether you need heating, cooling, furnace services, custom duct work, or any other HVAC jobs, we can be there for you faster than with any other company. Other HVAC companies only offer the most basic service, and at a higher price than they need to charge. This way they can earn more by offering you less. But at Cascade Heating, we take the opposite approach by charging as competitive as rates as we can and offering more heating and cooling solutions than any other service in the area. Whether you need parts, repairs, equipment replacement service, or seasonal maintenance, we offer every HVAC service you need to stay comfortable all year round. ​The benefit of living in a more wooded area of the country is having access to heating options beyond loud and ugly mechanical HVAC heaters. Many Oregon residents love relying on some form of fireplace or wood stove for their heating needs. Not only can fireplaces and wood stoves be built with a custom look, but they have a level of charm and personality that just can’t be beat with modern technology. Best of all, they can be gas powered or use wood, giving you the most affordable monthly service based on your location and budget. Call Cascade Heating & Specialties at 541-382-8483. Whether you’re in the market for a new fireplace, are performing a home renovation, or need your old fireplace repaired, serviced or replaced, we can handle it all without hiring an expensive specialty service. Same time, money, and have a fireplace the looks as great as it works. Sometimes, the heating and cooling ducts that were installed in your home are not the proper size of specifications. Whether the passageways are too narrow, vents are too large, or just poorly installed, your home can benefit from custom ductwork. When you choose us, we can address common heating and cooling problems to determine whether or not the issues are stemming from the ducts and vents, or if it is a system issue. With custom ductwork, you can have your existing airways repaired, removed, or reinstalled to give you the best heating and cooling possible for your home. There are many areas in which your ducts can fail you. If they were not installed properly to begin with, they may experience gaps or other leaking areas where cold and heated air escapes before it reaches its intended destination. Not only does this make your home unbearable to be in, but it also drives your utility bills and power usage through the roof. If you need help making your home more energy efficient and lower your monthly bills, custom ductwork can be a great place to begin. Other times, home builders installed ducts and vents assuming certain brands or models of heating and cooling units would be installed, only to have that system change at the last moment. As a result, the existing ductwork may not be completely compatible, causing air blockages, additional areas of pressure, heated or cooled air escaping, and even damage to the unit itself. But with custom ductwork, your HVAC system will be in great hands, performing better than ever before. Custom ductwork is also an ideal way to renovate your home. Whether you plan on adding or removing walls from your existing rooms or looking to upgrade your HVAC systems, custom ductwork can assist in making your home feel as great as it looks. Ductwork is the cost effective way to keeping your home comfortable. No matter how you need help keeping cool, we can handle it. From outside unit problems to interior duct or motor issues, we solve all of your problems faster and easier than any other cooling team. ​We service more homes and help more families stay comfortable for less than any other HVAC team. You deserve only the very best in residential heating and cooling services, and we always strive to offer just that. 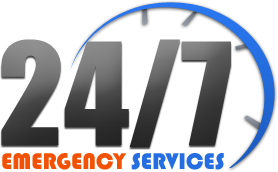 Whether you’re struggling to stay warm or just can’t seem to get your house to cool down, we will find your problem and solve it fast! And all other HVAC needs. As the best in local central Oregon heating and cooling services, we also help commercial accounts stay comfortable as well. In fact, local businesses need a little extra help as they typically stay cooler or warmer than homes normally would to keep employees and customers happy throughout the year. Commercial grade HVAC systems may also be a little more complex, requiring an expert team of professional HVAC technicians to tackle all of your issues. No matter what industry you may work in or what type of commercial building you have, we can help you maintain its heating and cooling. What sets our heating and cooling company a part from all the others is that we are committed to 100% satisfaction guaranteed! That’s why we only hire local heating and cooling professionals; to keep the greater Bend area employed. We only use the best HVAC parts and supplies possibly so that your systems continue working the right way for longer. When other companies cut corners with cheap parts and bad labor, we only offer the best service possible. Other companies may try and sell you on unnecessary replacements so they can charge more. We always try to find a less expensive solution first to save you money. Even if we have to install a new unit, we’ll give you the best pricing possible. Call Cascade Heating & Specialties, Inc today at 541-382-8483 and have the quality of heating and cooling that you deserve. And you can hire with confidence and a free estimate!